“At the end of the day, people will follow you or people will be energized by you if they buy into your vision or purpose. So the most important thing is to be true to yourself.” by business leader Paul Polman. This profound quote by Polman is significant in its simplicity. As we continue working on documenting the “in-kind” service we [“Friends of Copey”] enjoyed during this year’s “Pathway Project”, it is impressive to see how energized many “Friends” were with their support. I blame this on “Friends” buying into the vision or purpose of the “Pathway Project”. In my past employment life as a manager, it was difficult at times to get people to do their job…a job they were being paid to do. There were many reasons but some employees’ lack of energy was a failure to embrace the vision and purpose of the business. Far too often, it was “just a job”, simply a means to an income, with little or no passion felt for the work, the purpose or the business. Who knew people could be highly motivated, dedicated, and committed to doing something that provides no compensation or without any very personal connections or convictions? “Friends of Copey” is not “just a job” but a mission with a strong passion many of us share. Uncompensated, we are energized by our belief or knowledge that we can make a difference if we make the effort. Our support helps keep a small and not so affluent community excited and believing they can have a positive impact on the lives of their children and their children’s future. From my vantage point, it is truly a joy to see others willing to follow and support a vision and purpose. Remember always the three ways you can connect as “Friends of Copey”: 1) pray for our success; 2) share your positive energy/enthusiasm for our success; and 3) when so moved, share your finances when there is a need. These three connecting points have consistently provided us successful results. Two New Challenges for You! I ask you to challenge yourself with two other ways of connecting. 1. First, allow yourself to fully enjoy the results of your efforts. Accept the fact that you do make a difference regardless of the way you may connect. Conversations I have at times with some “Friends” indicate to me there is a disconnect with any of the successes we enjoy. Unless, the “Friend” makes a direct contribution or does something deemed useful, the “Friend” does not personally feel or experience the success. Is it true the sports player who did not get to participate in the winning game, is restricted from enjoying the team’s success? Of course, this is ridiculous! A team is a team and a team of “Friends” is a team of “Friends”. Something as inane as a passing positive thought by a “Friend” could be a lightning bolt of encouragement for the team. The challenge I offer you is to wrap your arms around the fact that you, me, and others are making a difference regardless of the type of connection being made. 2. The next challenge is important as well. 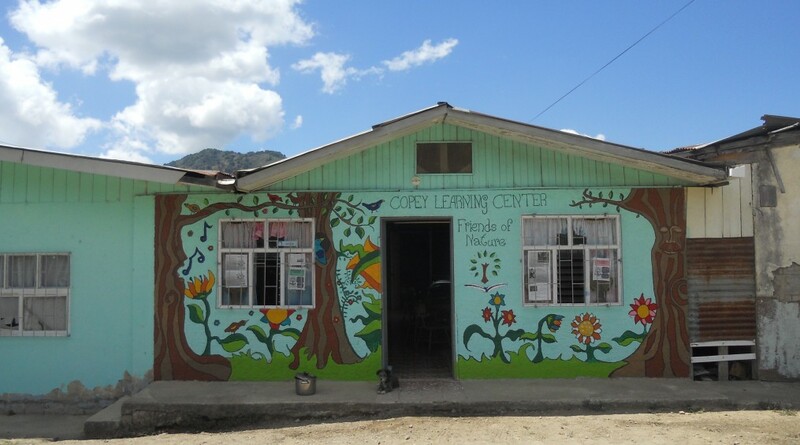 I challenge you to share the story of the Copey Learning Center . Let others know some of the amazing side stories you have witnessed. I try not to bore others with unending conversations about “Friends of Copey” but there are times when sharing such unimaginable news is unavoidable. A case in point relates to the Utah team of educators. A short conversation with one person resulted in hundreds of kids in an elementary school collecting 400 pounds of school supplies, four adults traveling to Copey, and life-changing experiences had by many. There was nothing special about that one short conversation, no magic or special effects. It was only a casual conversation with a stranger anyone could have…including you. The challenge to you is to share the news, share the Post with friends/relatives, and share the news with your schools and churches. You just never know who may be helped. I absolutely LOVED this post!! It is so true that no matter what we do we make a difference in someone’s life. I love reading this blog, loved my time at the Copey Learning Center, and love all the circumstances that brought our visit about. Thank you for the note and very happy to have you as a “Friend”. I just love this post, thanks to all the special people is around us! Thank you Arthur! You are one of a kind!! I continue to be impressed and inspired by your posts, thank you for sharing and the work you do that brings so much joy and change to the lives of many.